CADTalk is the easiest and quickest way transfer your engineering CAD data directly into SYSPRO™ so you can spend more time building and less time entering data. CADTalk is not a custom software solution. You know the perils of custom built solutions. They currently work but what happens when you need to upgrade your CAD, PDM, or PLM system in the future? Will it take advantage of the new features? Will that company continue to support it? CADTalk utilizes a configurable framework to standardize the integration between CAD/PDM software and your ERP system. That way you will have the flexibility you need without the downsides of custom built solutions. CADTalk does not work with every ERP or CAD system on the market but there is a guarantee of ongoing rich integration to every system it does support. Before we decide to integrate systems, we create a clear path for long term support and deep integration. In our opinion, the best scenario is one with long term established partnerships and in depth knowledge of each system that we integrate CADTalk to. 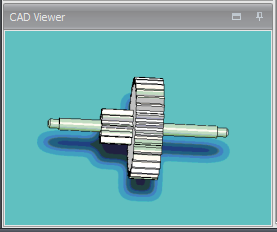 CADTalk can directly read SolidWorks, SolidEdge, AutoDesk Inventor, and AutoCAD (dwg\dxf) file formats. It is very common for companies to have a Manufacturing Engineer or downstream production person building routings and Bills of Material in the ERP system. 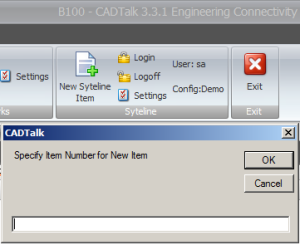 Using CADTalk, those users will be able to directly read the native CAD formats from their engineers or outside customers without requiring a full license of the CAD software. In addition to the above supported CAD Systems, CADTalk also supports reading any text based file format such as xml, csv, fixed width, or delimited file. Sometimes users need to make manual changes to the Bill of Material or items before they are transferred to the ERP system. CADTalk provides an interface that has been engineered to be the quickest and most intuitive BOM editor you have ever used. In fact, most users prefer CADTalk over the BOM editor in their ERP software! Here are just a few of the things you can do with the CADTalk editor. Add Routings\Operations on the fly. 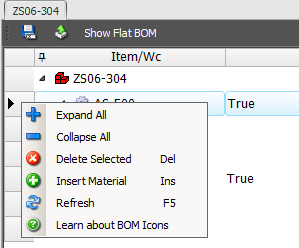 Add existing or new Components to the BOM. Drag and Drop between levels of the BOM. CADTalk is not limited to just a single level BOM! Users can open up an entire assembly and translate every level of the CAD assembly into a fully indented BOM in the ERP system. Don't worry about creating all those item master records before creating the BOM. CADTalk can do that too! If an item doesn't exist in the ERP, CADTalk will create the item on the fly when transferring the BOM into the ERP system. Users also have to ability to edit the item master fields (including custom fields) within the CADTalk user interface prior to transfer. Users can view CAD Images directly inside the user interface. These images can also be sent to the ERP system to be paired with Item/Stock code records. 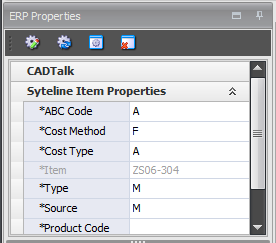 CADTalk can edit existing Item and Bill of material data from the ERP system. Need to make a edit why not use CADTalk's leading BOM editor to make the job simple. Want to create a new item on the fly? You can do that too! CADTalk supports all the fields that you need to create Item and BOM data in the ERP system, including custom fields! Also, all of these fields can be mapped from any CAD property! Using either SYSPRO's import facilities or e.net solutions, you can seamlessly integrate your CAD designs with SYSPRO's Bills of Material. This removes the need to recapture, thereby saving time and reducing the possibility of transfer errors. Additionally, you can use SYSPRO's multimedia features to link objects such as drawings, designs, certificates and video clips to part numbers, to inform production staff and provide them with quick links to the relevant paperwork. Get the factsheet instantly by completing the form. Get Your Free Factsheet Now!